What Did Pythagoras Mean By "All Things Are Number"? We all know that numbers can help us understand the beauty of nature. But in this excerpt from the new book A Beautiful Question: Finding Nature’s Deep Design by Nobel Prize-winning physicist Frank Wilczek, he shows how it goes a lot deeper than that. Did the ancient mathematician Pythagoras know something we don’t? Most of us first heard the name “Pythagoras” when we were in high school geometry class, but few recall that there was an actual person named Pythagoras who lived and died around 570–495 BCE. Very little is known about the real Pythagoras, or rather a lot is “known” about him, but most of it is surely wrong. The documentary trail is littered with contradictions. It combines the sublime, the ridiculous, the unbelievable, and the just plain weird. Pythagoras was said to be the son of Apollo, to have a golden thigh, and to glow. He may or may not have advocated vegetarianism. Among his most notorious sayings is an injunction not to eat beans, because “beans have a soul.” Yet several early sources explicitly deny that Pythagoras said or believed anything of the sort. More reliably, Pythagoras believed in, and taught, reincarnation. Several stories—each dubious, to be sure—corroborate this. The picture of Pythagoras that emerges from the evidence is thus not of a mathematician, who offered rigorous proofs, or of a scientist, who carried out experiments to discover the nature of the natural world, but rather of someone who sees special significance in and assigns special prominence to mathematical relationships that were in general circulation. Bertrand Russell was pithier: A combination of Einstein and Mary Baker Eddy. To scholars of the factual biography, it is a major problem that later followers of Pythagoras ascribed their own ideas and discoveries to Pythagoras himself. In that way they hoped both to give their ideas authority and, by enhancing Pythagoras’s reputation, to promote their community—the community he founded. Thus magnificent discoveries in different fields of mathematics, physics, and music, as well as an inspiring mysticism, a seminal philosophy, and a pure morality were all portrayed as the legacy of a single godlike figure. That awesome figure is, for us, the real Pythagoras. In the end, perhaps it is not altogether inappropriate to assign the (historical) shadow-Pythagoras credit for the real Pythagoras, because the latter’s great achievements in mathematics and science emerged from the way of life the former inspired, and the community he founded. It is also difficult to know, at this separation in time and space, exactly what Pythagoras meant by that. So we get to use our imagination. Pythagoras was mightily impressed by Pythagoras’s theorem. So much so that when he discovered it, in a notable lapse from vegetarianism, he offered a hecatomb—the ritual sacrifice of one hundred oxen, followed by feasting—to the Muses, in thanks. The areas of the two smaller squares are 32 = 9 and 42 = 16, as we can see, in the spirit of Pythagoras, by counting their subunits. The area of the largest square is 52 = 25. And we verify 9 + 16 = 25. By now Pythagoras’s theorem is familiar to most of us, if only as a dim memory from school geometry. But if you listen to its message afresh, with Pythagoras’s ears, so to speak, you realize that it is saying something quite startling. It is telling you that the geometry of objects embodies hidden numerical relationships. It says, in other words, that Number describes, if not yet everything, at least something very important about physical reality, namely the sizes and shapes of the objects that inhabit it. The special joy one finds in precise mathematical thinking, when sharply defined concepts fit together perfectly, is often lost when one has to resort to more advanced and sophisticated concepts, but here we have an opportunity to experience that special joy. Part of the magic of Pythagoras’s theorem is that one can prove it with minimal preparation. The best proofs are unforgettable, and their memory lasts a lifetime. They have inspired me in my own pursuit of scientific truth and I hope they’ll inspire you. 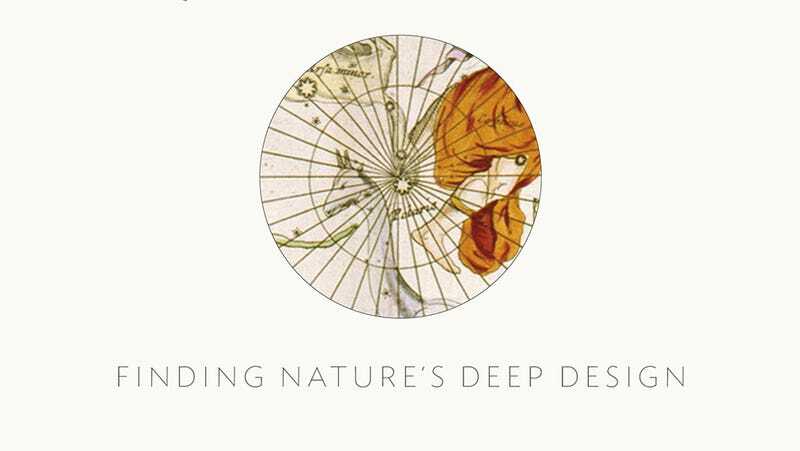 From A BEAUTIFUL QUESTION: Finding Nature’s Deep Design by Frank Wilczek. Published by Penguin Press © Frank Wilczek, 2015.